Fiction Fixers: The Curse of OZ is rated 3.6 out of 5 by 34. Rated 5 out of 5 by Nikiatay from Great game! By the story is familiar, it made it more interesting to see this twisted tale! Rated 5 out of 5 by godfreygirl from What a fun and refreshing game!! 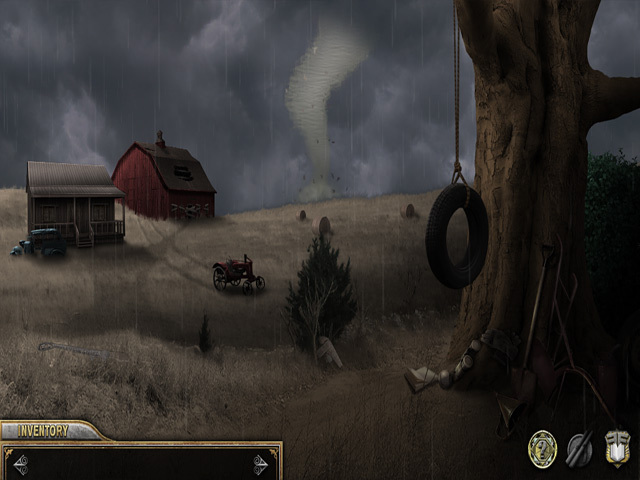 I've been getting very tired of gory, gloomy and dark HO games and this one is fun to play. Graphics are crisp and clear and I liked the storyline. I immediately bought it and will be playing this many times. Just a very fun game IMO. Rated 5 out of 5 by Jem_Jerrica_Guy from Improved graphics of course, But I miss Fixer Phoebe. Still, Dorothy and three other friends suffice. 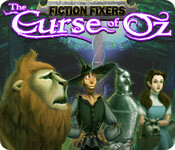 Rated 5 out of 5 by JulieJay from Fiction Fixers: The Curse of Oz Fun hidden object puzzle adventure - although puzzles/mini games are few and far between - imo could have done with a few more thrown in. Quite a few ho scenes which you do revisit but I never mind that any way. Great voiceovers and great graphics although the ho scenes were a little dark depending on where they were. I enjoyed what puzzles there were although I do wish they'd gone into full screen. Definitely worth the DD price. I enjoyed this one just as much as the first and hope there'll be some more coming soon. There's been mention in the game forum of this game only being 2 hours long by someone who hasn't even bought the game. I am quite a fast player but never use hints or skips and this game took me 4 hours 13 minutes to complete. Rated 5 out of 5 by HappyGrandma38 from Relaxing entertainment Nice adaptation of the famous fairy tale. I enjoyed. Rated 5 out of 5 by mickey_owl from A fantastic game for fans of OZ If your a fan of the original story this game doesn't disappoint. It has obviously been created by people who know the story not gust the MGM Film and the visuals are stunning. The game play is pretty easy though and if your good at hidden object games you will complete it very quickly. However the attention to details in terms of story and graphics make up for this! Rated 5 out of 5 by sportygal2009 from A RELAXING/FUN GAME FOR THE DIE HARD FAN OF WIZARD OF OZ This review is based on the whole game. The story: This pretty much follows the original of the Wizard of Oz however with a twist in here as your helping save Oz from the evil Victor Vile. The characters and voice overs I found to be very well done. Just awesome! The graphics I found to be excellent even though a couple of areas were dark but I think that is just to set the mood of the game so to speak. There are two playing modes to this game: Easy and Expert. I played expert which does have sparkles. There is also a map however you can't click on it to take you to a location but it will show you where you are and where there is stuff to do. There is some traveling back/forth however maybe have to go back a location or two. It's not like most games where you are wandering all over the place. Also after an area is completed it will show completed. 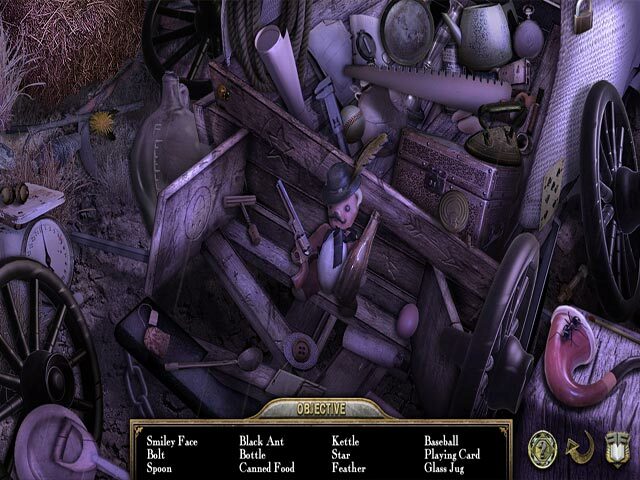 The hidden object scenes: I found this game to have quite a few different locations where you either find items by a list or fragmented (pieces of items). The majority I found pretty easily only had to use a couple of hints. There's also puzzles/mini games which I found pretty fun and easy considering I'm not really a fan of puzzles. To get directions on the puzzle click on the ? mark down at the bottom. The hint/skip take about a couple of minutes. As for the length of the game which will show you your time down at the bottom took me 4 hours and 7 mins but I'm a slow player and take my time. I have to just check out all the different areas. I'm sure some will finish it sooner but I really enjoyed this game and was long enough for me. Overall, I give this five stars as I really enjoyed the story, characters, voice overs, and graphics. Most important I'm a die hard fan of The Wizard of Oz. Great job done here. Thanks Big Fish for a great game. Save Oz from the evil Victor Vile! 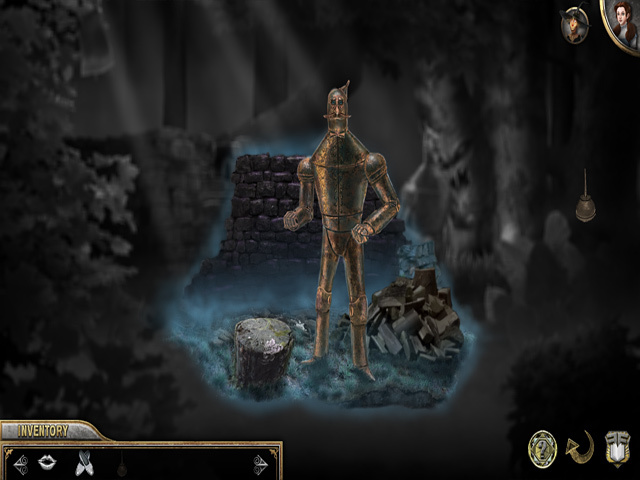 Team up with the Scarecrow, Tinman, and the Lion and use their powers to overcome obstacles!